Property 4: Comfortable and spacious apartment in the heart of the Peak District. 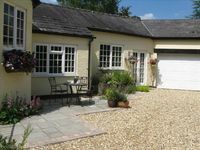 Property 5: The Hayloft a romantic country haven. Property 9: Immaculate hi-spec apartment, sleeps 5. Free hi speed wifi, free parking. Property 12: Luxury 2 - Bedroom Apartment, Nantwich.